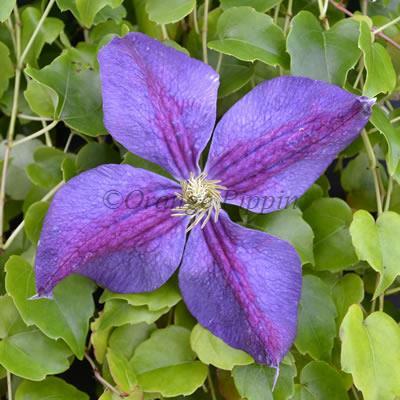 Clematis 'Star of India' has vibrant purple-blue flowers with a dark pink stripe to each of the four rounded petals, which are attractively pointed at the ends and contrasting creamy-white centres from June to August. This very distinct, non-evergreen climber is perfect for planting in a container on the patio, grown along a fence, garden wall or fence and would make a lovely addition to the cottage garden. 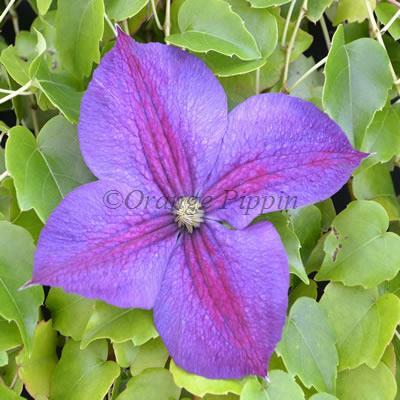 Clematis 'Star of India' was raised by Thomas Cripps and Son of Tunbridge Wells, England.